Click on the photograph titles to locate the positions on both 1933 & 2005 site plans. Historic Location '5' - Facing West The viewpoint of this idyllic turn of the century scene in the grounds of Borley Rectory is now impossible to obtain exactly. This is the earliest photograph known to have been taken at Borley. 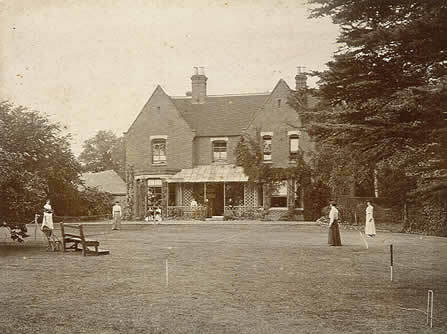 The modern boundary between the former Rectory Cottage and the most westerly bungalow built on the Rectory garden runs left to right across the lawn approximately level with the lady in the white dress (one Henry D.E. Bull's daughters) on the far right of the photograph. 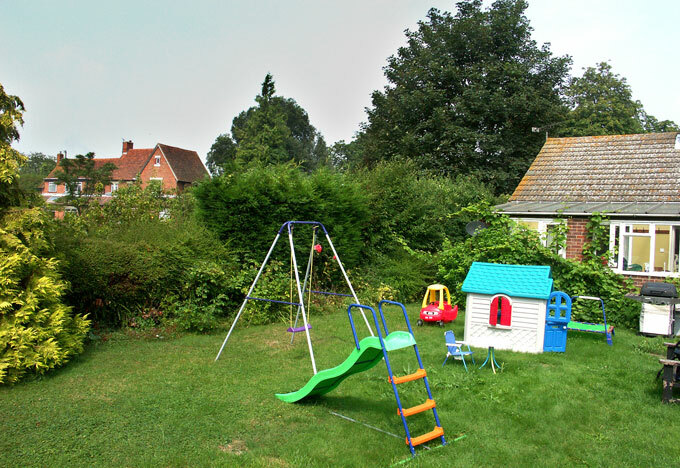 This means that the bungalow now occupies most of the lawn area between the lady in the dark skirt on the right across to the bench on the left. Incidentally, Sidney Glanville stood about where the white lady on the far right is standing when he took the 1937 photograph on the previous page. (Period photograph credits on this page - Mary Evans Picture Library). Modern Location 'F' - Facing West-North-West On 7th August 2004, Eddie Brazil and I visited Borley and were very fortunate to be allowed by the owner to take photographs in the garden of the bungalow adjacent to the former Rectory Cottage, which can be seen in the background. By my calculations, the south-east wall of the Rectory with the glazed veranda was approximately 12m (40ft) on the far side of the boundary hedge in the picture. Eddie's vantage point in this photograph is on the far side of the tree on the left hand side of the period photograph above. Please note that this garden is private property. 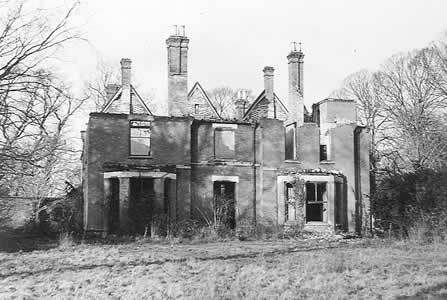 Historic Location '6' - Facing West-North-West This impressive photograph of the derelict and crumbling Rectory was taken in January 1944, a few months before the ruin was completely demolished by a local builder. The pile of bricks in front of the right hand ground floor bay window was a recent fall. The modern boundary line is immediately in front of the photographer in this picture. (Photograph - Mary Evans Picture Library). Modern Location 'G' - Facing North-West Eddie's modern photograph shows the location of the above 1944 picture as it is today. 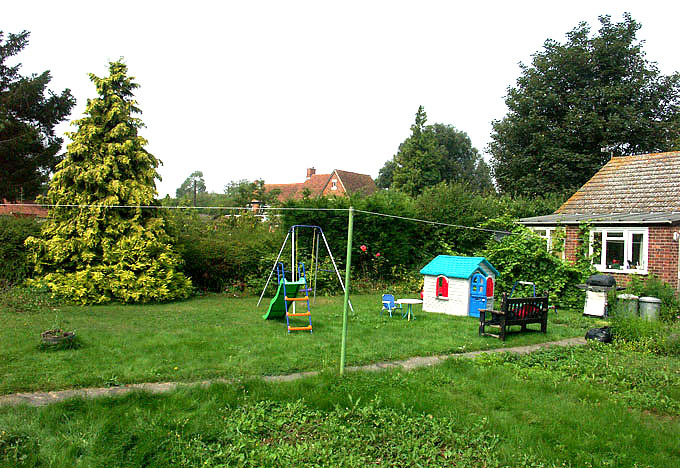 The photographer was standing approximately behind the swing facing towards the Rectory Cottage. The elevation of the two photographs is slightly different as I recall Eddie stood on a climbing frame to get his shot!